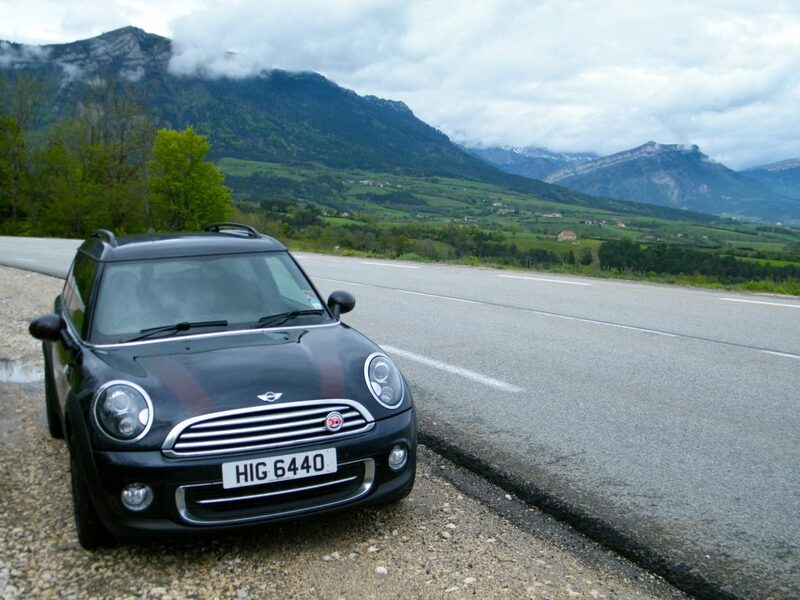 With my Birthday just passed I turned 23 and a week later I would be travelling over 2,400 Miles off to Another country with 5 other MINI owners who I had never met before. With the MINI Prepared more than me, I set off from my house and headed to Dover where I would meet the people I would be sharing this MINI Adventure with. It was a long drive there so I set the cruise control on at 70mph and just relaxed with the Harman Kardon sound system providing the sound and the Recaros providing the comfort. I drove past Oxford on the way to Dover with the beautiful yellow fields of buttercup flowers and windmill in one. Hopefully I would be taking my MINI one day to the place where it was born at the Oxford MINI Plant. Darkness fell and the Xenon lit up the road ahead of me perfectly given i had never driven so far south before. I called Christine to see how far they were from the Hotel and they had stopped for some dinner but would be setting off again in 20 minutes. Lets say i was lagging abit so SPORT BUTTON was engaged and every gap exploited for clean overtaking to maintain a constant velocity. 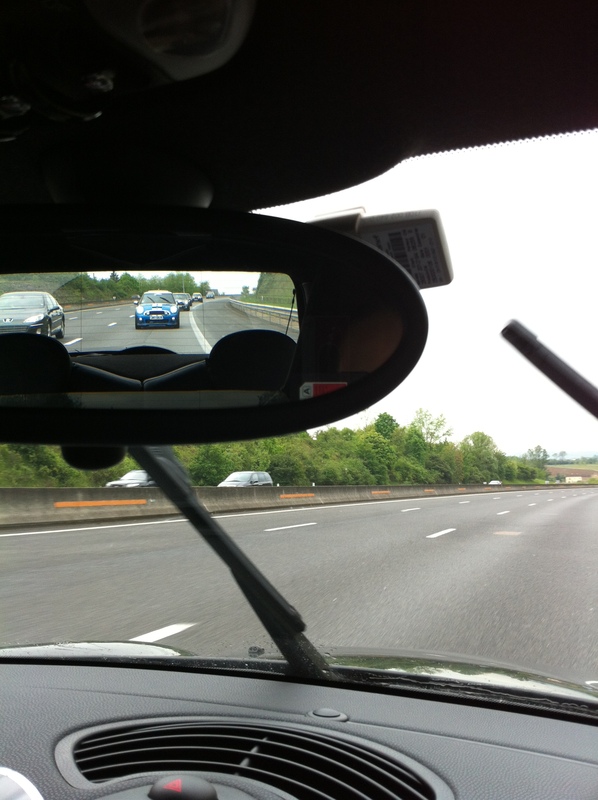 With only 5 miles remaining to the Hotel i thought i wouldn’t catch up but in the distance I saw familiar looking rear lights, so i put my foot down to catch up and it was Christine and Phill & Janet in their MINIs so i flashed and tucked in behind Janet’s Fully Loaded R53 Cooper S infront of Christine’s Tasty Hyper Blue LCI R56 JCW which had only 2,000 miles on the clock at time. 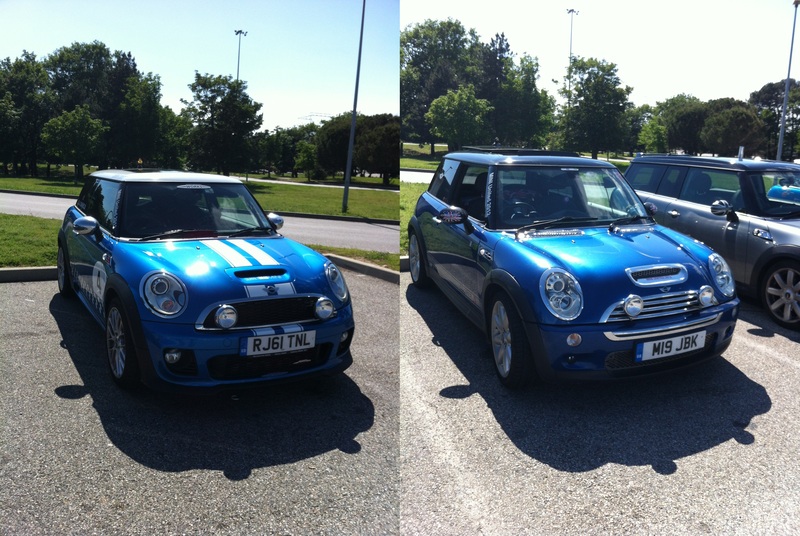 We parked up at the Hotel and spoke in the the lobby about each others MINIs, MINI UNITED and how each their journey had been. The next day we all drove down in convoy to meet Garry with his WC50 at Dover where we would drive on cars on to the train to Channel Tunnel to enter France within 30 minutes. 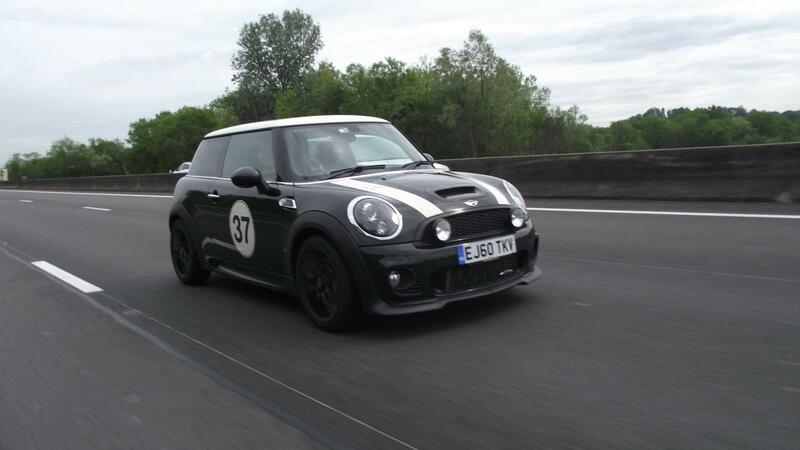 Garry’s WC50 is no ordinary JCW or WC50 by a long mile and earned its nickname of the ‘Green Monster’ during this MINI Adventure. With the stock look of an WC50 there is FMIC Intercooler, Sports Cat downpipe, Alta Blow off valve and remap which brings it up from the standard 208 BHP to 280 BHP & 320 Ft Lbs of Torque. 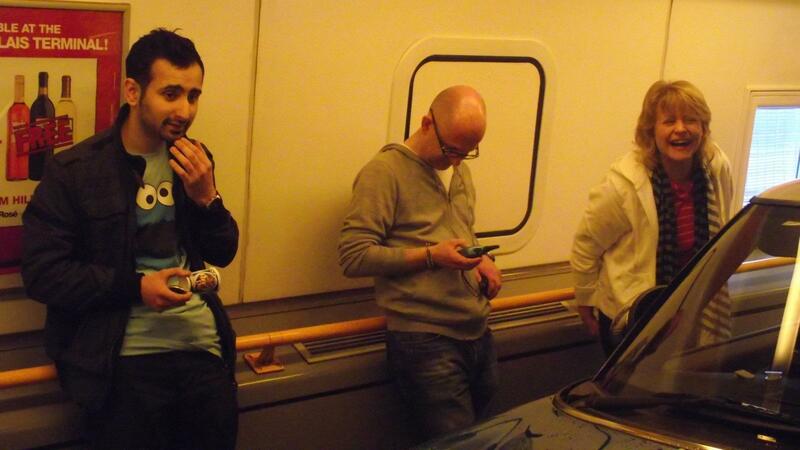 We lined up the cars to board the train to which would taking us to France in 30 minutes and then drove on to the train parked inside up whilst listening to the on-board safety announcements. With this time we had onboard we spoke about each other MINIs and all the adventures they had and what mods they had done to their MINIs. These owners were all member of Surrey New Mini (SNM) who knew each previously but made me feel at home the moment i met them (they are like a second family to me now). 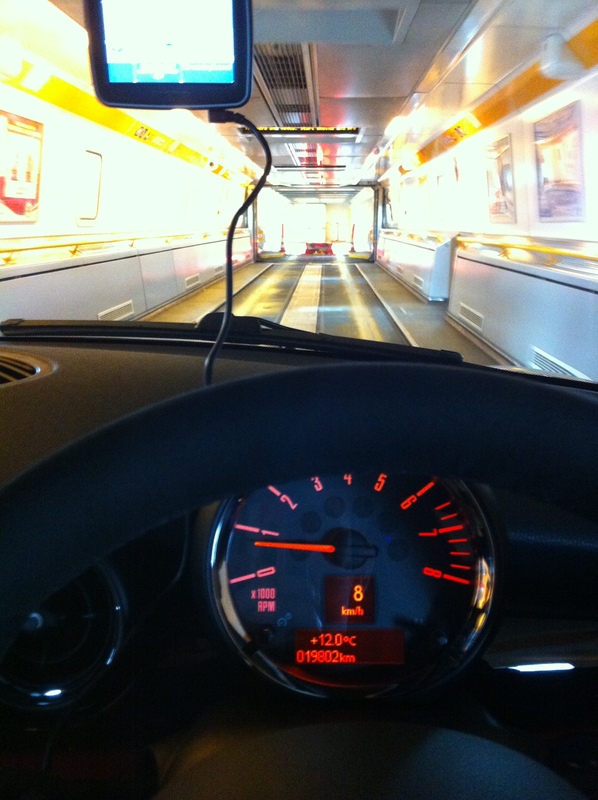 We rolled into France and disembarked the train and reminded ourselves to drive on the wrong side of the road. Sat Navs set and Radios sorted Top Gear Road Trip style and we headed for our half way point hotel in Dijon to enroute to the Villa near MINI UNITED. With being a national holiday when we arrived, the motorways were completely empty and we only passed one car after 2 hours of driving. 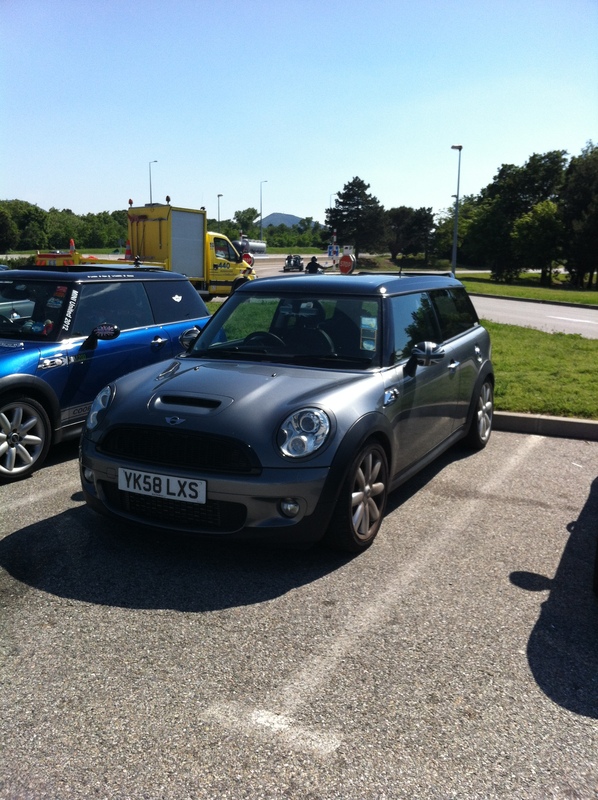 We stopped at a service station to fill up the cars and grab a snack at which point we met up with another member of SNM – Phil with his Clean R56 Clubman Cooper S with JCW Exhaust system. All fuelled up and feed whilst causing a stir at the service station with all our MINIs we left to reach our hotel before night. We reached our hotel and freshen up only to find Ian (118) on SNM/TotalMini Forum Moderator and Mark from Ireland with his Uber cool MINI Hampton Edition Clubman arrive. I just adore the Hampton Edition with its Reef Blue metallic paint and the WHEELS with the burnished lip Damson Red touches centres. Its just not the exterior of the car i am mesmerised by its interior with the Lounge leather seats with Damson red piping and custom dash board trims make this MINI the apple of my eye. Given i have a soft spot for the Clubman and especially Hampton Edition would make a perfect 2nd car to me given i have driven a JCW Clubman extensively as well as the Hampton Clubman SD as a loan car. 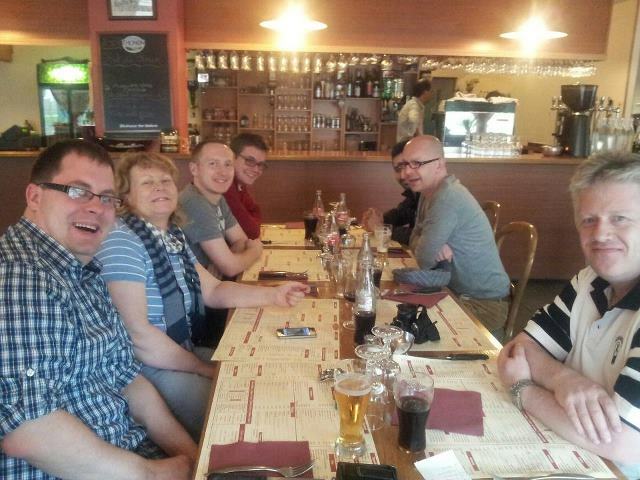 We all then went over the road from the hotel to a lovely little pizzeria where I introduced myself and my JCW. We had a beautiful meal sharing stories & few jokes and I made two new MINI Mates. 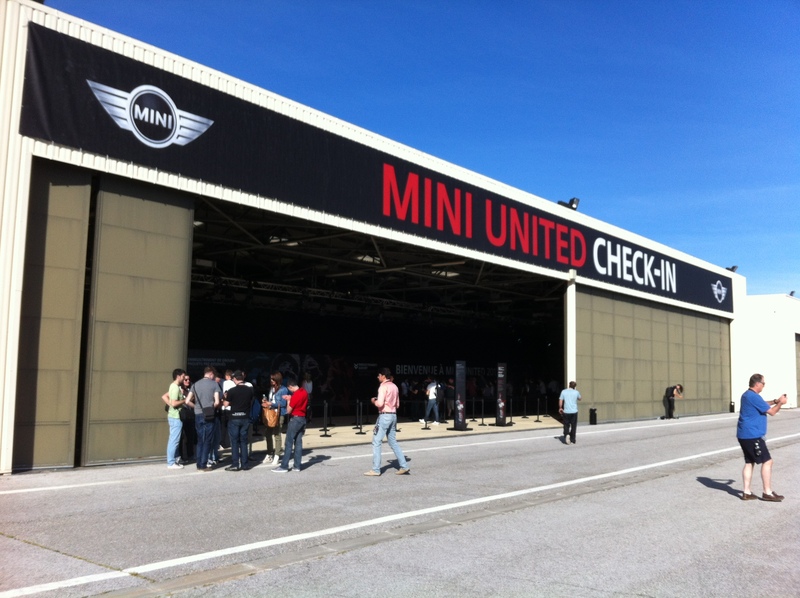 Next Post The Road to MINI UNITED PART 2….